Whether you are a large manufacturing company with multiple locations around the USA or are a smaller local company that just wants a soda machine, we can put a refreshment program together that will satisfy your needs. Call us today and we will send a rep in to help you design a break room solution that your company will be proud of. This program is designed for companies that want to give away free beverages or snacks to their employees. 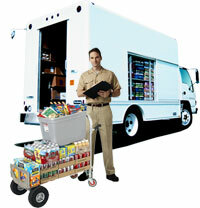 We provide free vending equipment and our drivers will stock the products on a weekly or in some cases daily basis. We will provide a monthly detailed invoice of all the products used. For more information click here. This program is for companies that are interested in selling beverages and snacks at a reduced rate to their employees. 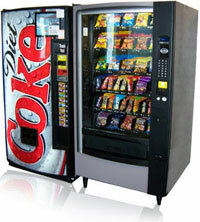 We will install free vending equipment and set lower prices on the machines and bill your company for the difference. For more information click here. This program is where we install vending machines at no charge. We load the machines on a weekly basis and your employees will buy products as they go at similar prices to convenience stores.